"THIS IS THE PLACE: WOMEN WRITING ABOUT HOME"
A packed house at the FWR on April 28th for three extraordinary writers: Catina Bacote, Naima Coster, and Lina Ferreira, reading from their work in the anthology This Is The Place: Women Writing About Home. Thanks again to these three talented authors and to all who attended! WITH DENISE KIERNAN & JOE D'AGNESE!!! Click on photo above for more pictures. 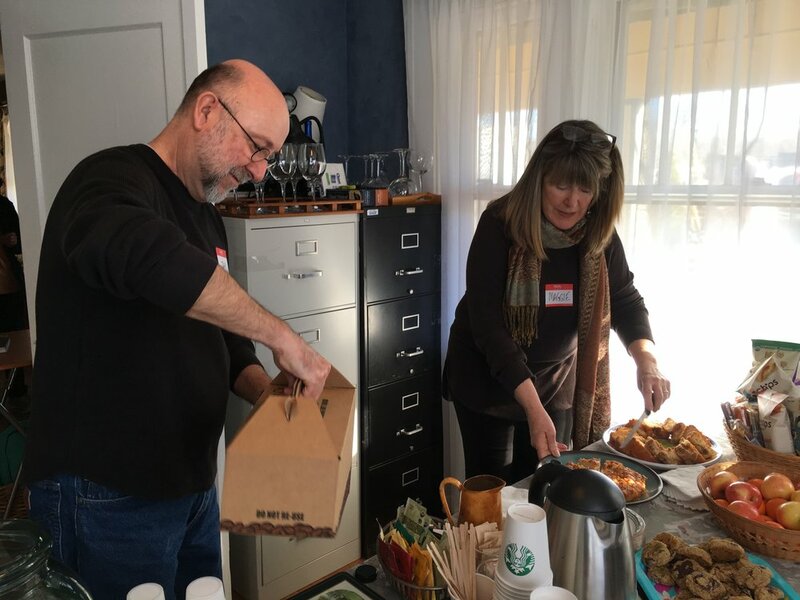 The FWR had the great honor in November of hosting the Nonfiction Book Proposal Boot Camp taught by award-winning authors Denise Kiernan and Joseph D'Agnese. 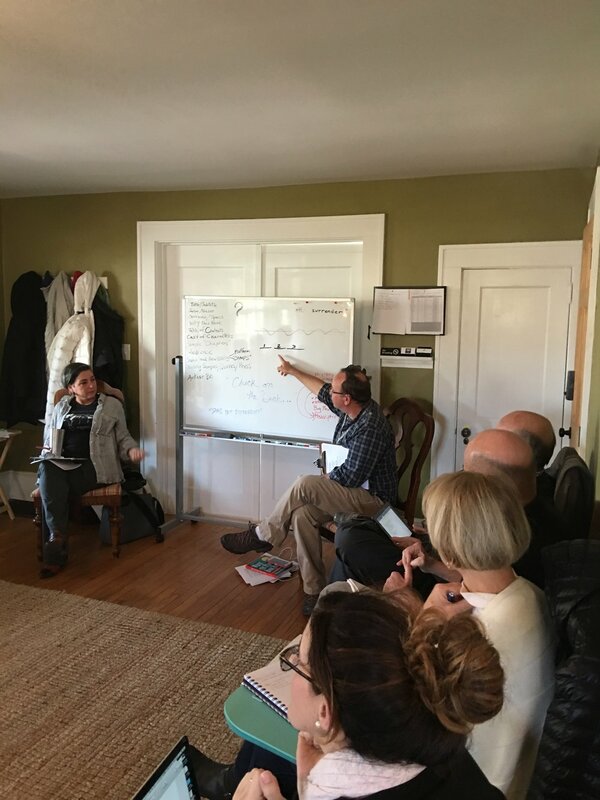 The Bootcamp sold out and was an extraordinary weekend of shared ideas and nuts and bolts how-to's in putting together a book proposal. 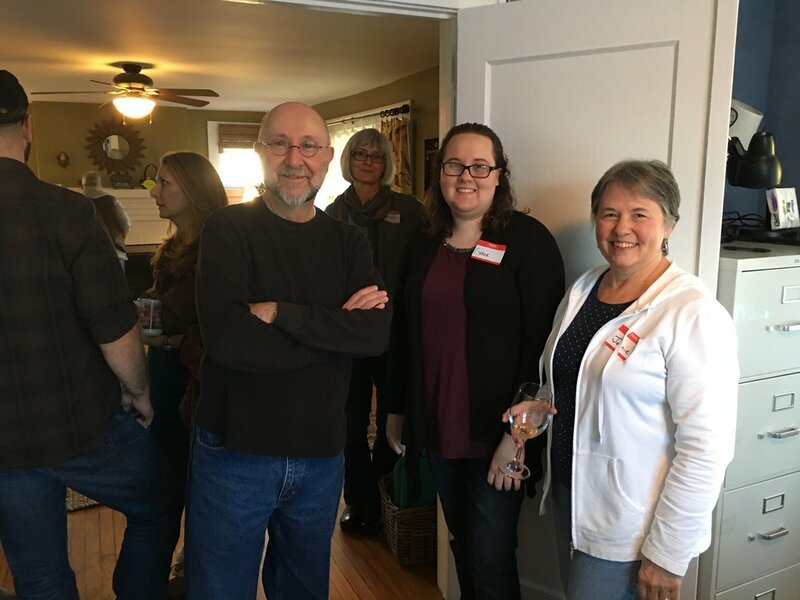 From the pre-bootcamp cocktail party on Friday to the private consults on Sunday, our feedback from every participant was that they came away feeling ready to take on the world with their nonfiction book concept. Best of all, Joe and Denise taught the Bootcamp as a fund-raiser for the FWR and we raised close to $3000 from student attendance. Thank you Joe and Denise!!! GAME NIGHT AT THE FLATIRON WRITERS ROOM!!! THURSDAY, JULY 13TH FROM 6:00 TO 8:00 P.M. WRITERS AND BOOKLOVERS, JOIN US ON OUR LOVELY PORCH FOR GAME NIGHT AT THE FLATIRON WRITERS ROOM! ADMISSION COST IS A DONATION OF $5 OR MORE TO ASHEVILLE WRITERS IN THE SCHOOLS AND COMMUNITY. BRING YOUR OWN BEVERAGE. WE’LL SUPPLY POPCORN AND THE GAMES. SHOW OFF YOUR PROWESS AT SCRABBLE, BANANAGRAMS, AUTHOR CARDS (THINK “GO-FISH”) AND A PRIDE & PREJUDICE TRIVIA GAME. 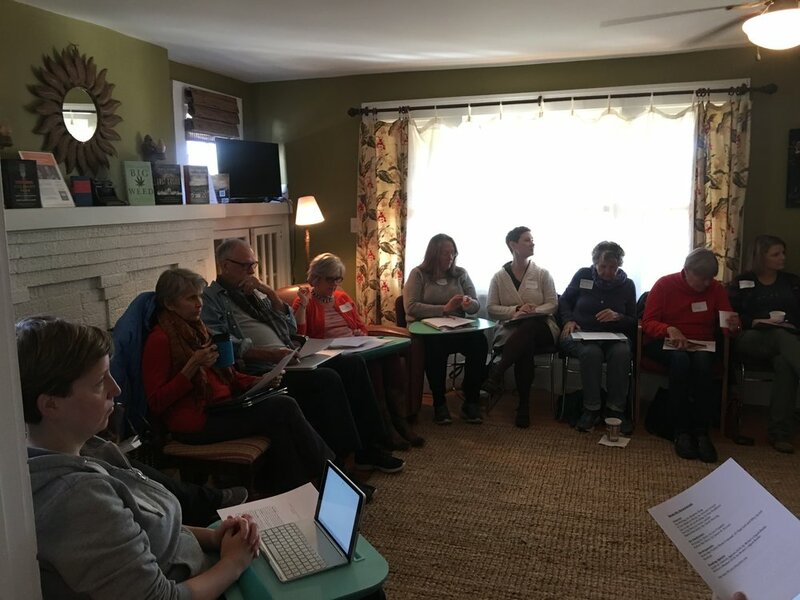 ASHEVILLE WRITERS IN THE SCHOOLS AND COMMUNITY (“AWITSC”) IS A 501(C)(3) NON-PROFIT ORGANIZATION WHICH CONNECTS WORKING WRITERS WITH STUDENTS, TEACHERS, AND COMMUNITY MEMBERS TO FOSTER CRITICAL LITERACY SKILLS, CONFIDENT IMAGINATIONS, AND EQUITABLE RELATIONSHIPS. YOU CAN DONATE ON LINE AND SHOW US YOUR RECEIPT, OR DONATE AT THE DOOR BY CASH OR CHECK. FLATIRON WRITERS ROOM OPEN HOUSE!!! Enjoy food and drink on our lovely porch, see our space, and learn about our writing workshops, retreats and events. You can even enter a drawing to win a free class! Free & open to the public - bring your reader and writer friends! Come watch instructors Maryedith Burrell & Tom Chalmers and class participants discuss their process and read some short samples of the comedy sketch work crafted by the class during their 8-week workshop. Come have a Beer and a Burger and Cheer Them On! Join us for our First-Ever Malaprop's Event at the Flatiron Writers Room! V.E. Schwab Presents "A Conjuring of Light"
Writing is a Lonely Business -- But it Doesn't Have to Be! Our first official event at the Flatiron Writers Room! 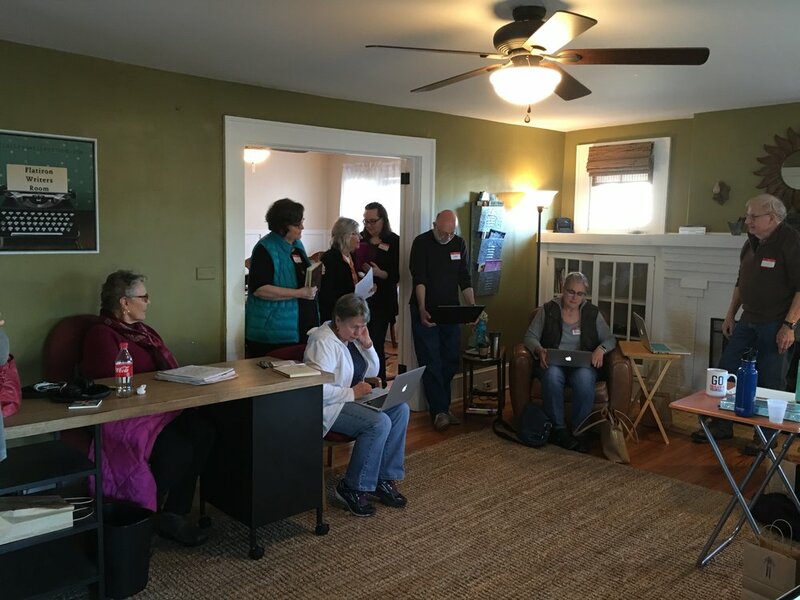 On January 28th, twelve committed writers gathered for our Pop-Up Writer's Retreat in our brand-new space in West Asheville to flex their creative muscles and find community. The all-day event included a guided writing prompt, a consultation with writer, author, and teacher Heather Newton, a chance to write communally and share work, lots of private writing time, an energy-charged lunch next door at UpCountry Kitchen, an optional massage, and a wine and cheese social hour when all was done. 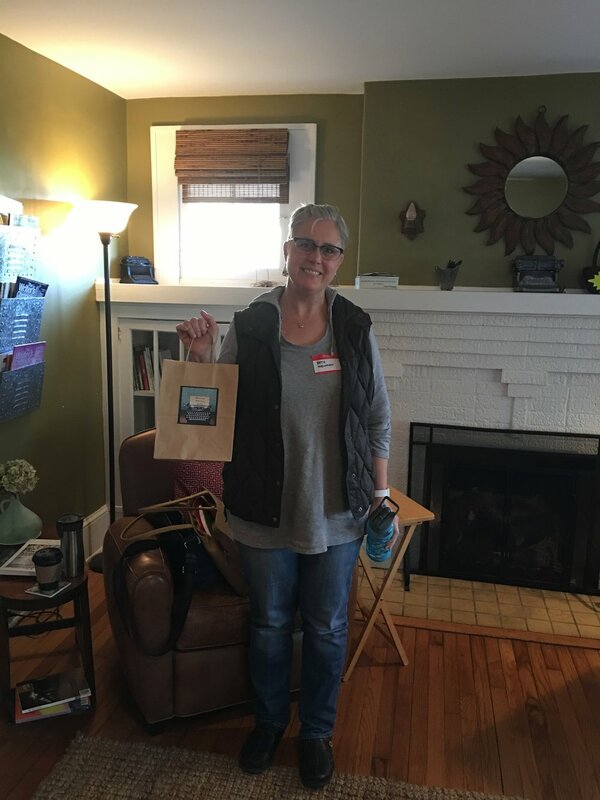 "I left feeling energized, satisfied, and like I had given myself a gift—the gift of time to create, while around like-minded individuals." "The feedback and affirmation of my consultation with Heather was delightful." 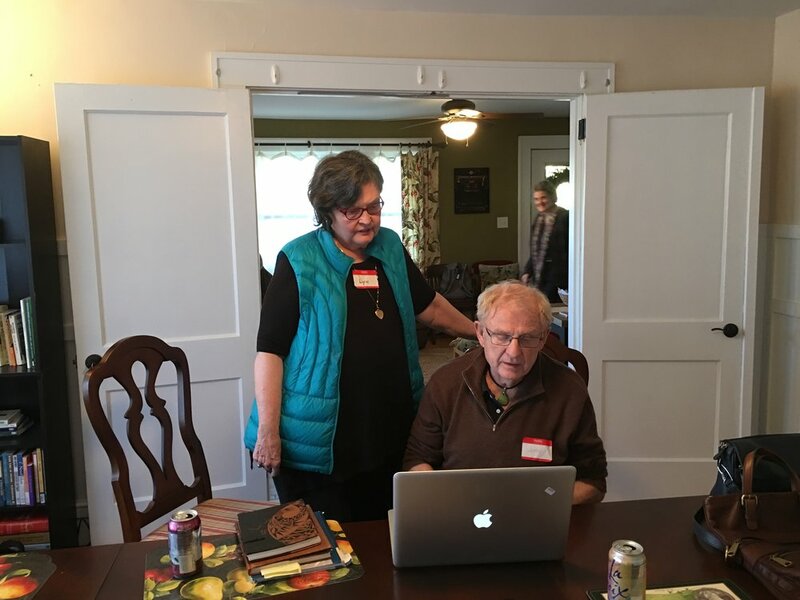 "Connecting with other writers and having targeted writing time was just what I was looking for." "I would definitely come back - when's the next one?"